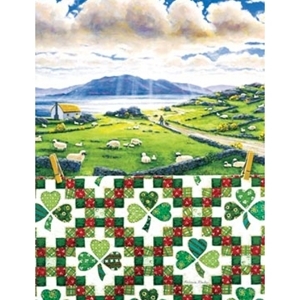 Long winter evenings are on the way and they are the perfect time for jigsaw puzzles. 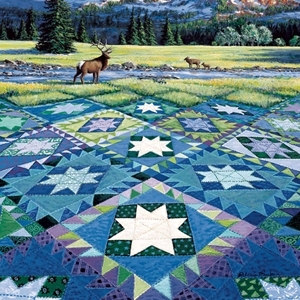 What better subject for puzzles than quilts?! 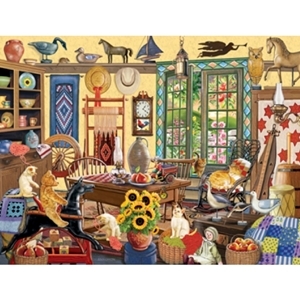 These 1000 piece puzzles will keep you busy for many evenings. 500 piece puzzles could be just right for a group effort and a long weekend. For a quick finish, try any of these mini-puzzles. Each one has just 100 pieces. 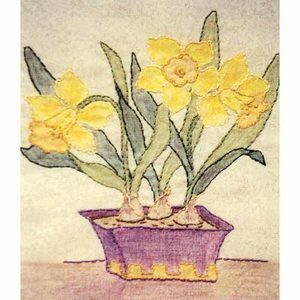 When you are finished you can use puzzle glue – instant mini-art! Visit the puzzle page for lots more puzzles of all different sizes. 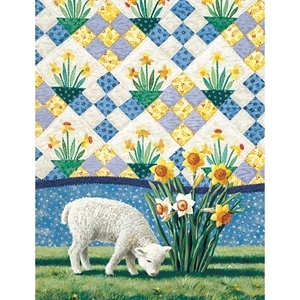 In The Mood For A Quilt Puzzle? 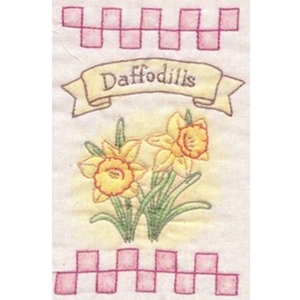 When you’ve had enough stitching (is that possible?! 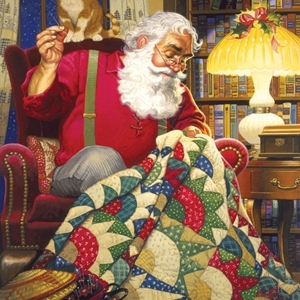 ), puzzles about quilting are a great way to spend a winter evening . . . . This room was packed even before the critters found their way in! Who Left The Door Open seems to be a legitimate question. I don’t know about you, but I’m having trouble telling the interlopers from the decorations! Now isn’t this a peaceful looking scene? 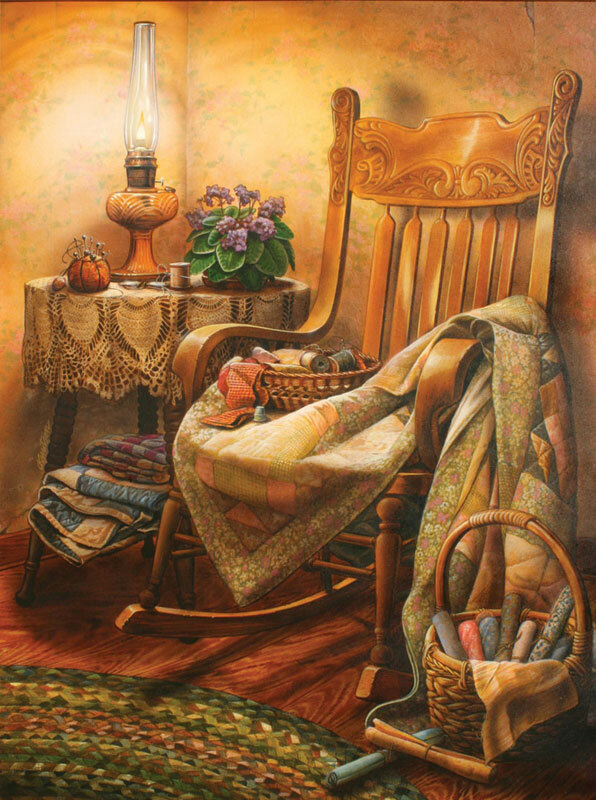 Grandma went to the kitchen to get a cup of tea – she’ll be right back to Grandma’s Rocker. Do you think this is Grandma’s view from her rocker? Another peaceful (pieceful?) 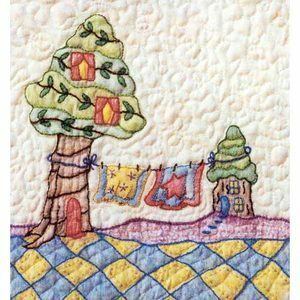 scene….Quilting The Land. 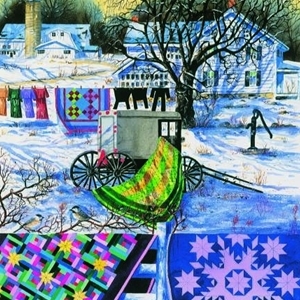 Winter Patchwork is a pretty scene, but just to look at! 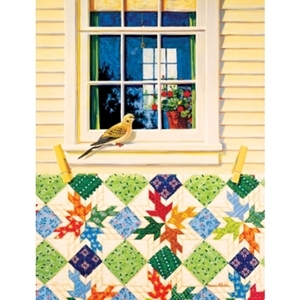 Wouldn’t you rather be inside “working” on sewing or a puzzle?! 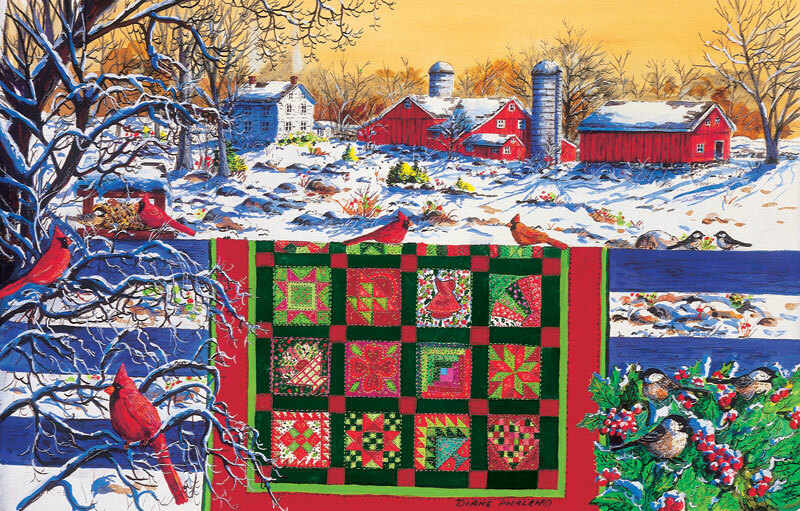 Check out the rest of our Quilt Jigsaw Puzzles and enjoy a quiet winter evening or two. Who knows? 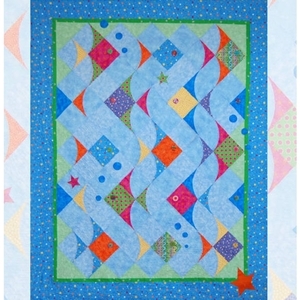 You might even get some inspiration for your next quilt from the puzzle you do! Are you heading to the beach this summer? Not, and wish you were? Trade your normal commute to work for Rush Hour Traffic, Beach Style. Dig into your stash to make these fish that don’t seem to mind the crowd. 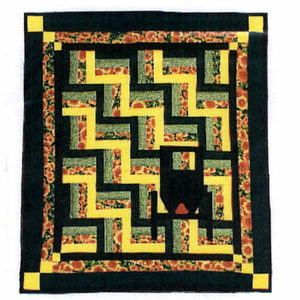 All the gentle curves add wavy motion, and the button embellishments add dimension and whimsey. Here’s another stash project. 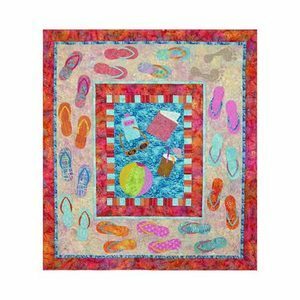 Over a dozen flip flops surround the beach blanket that holds everything a beachgoer might need. 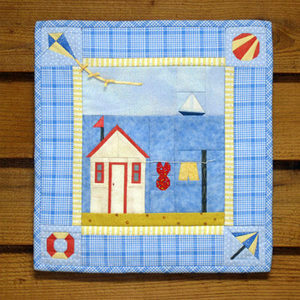 Linda Zokan of Thistledown used batiks in Beach Walk and they look great! 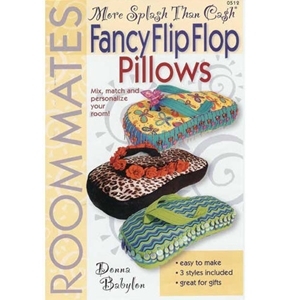 How about a giant Fancy Flip Flop Pillow? The kids will love these! Take it to the beach (the straps make it easy to throw it over your arm or shoulder leaving your hands free to carry all your other stuff) or use it inside on the rainy days. There are endless design possibilities! If you are going to the beach, you’ll need a way to carry all your stuff. 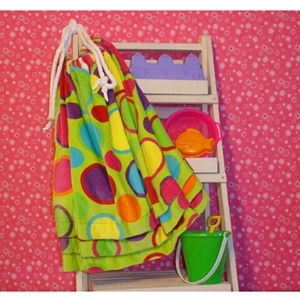 My Beach Bag is a simple drawstring bag that you can whip up in no time at all. 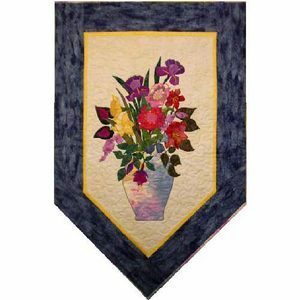 The extra layers at the bottom add a little personality, and the rest of the pizzazz will come from the fabrics you choose. Go bold! 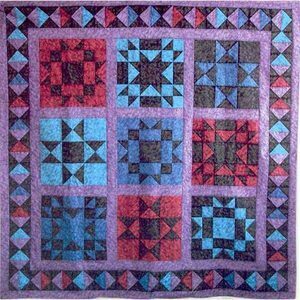 Want to try a different kind of piecing? 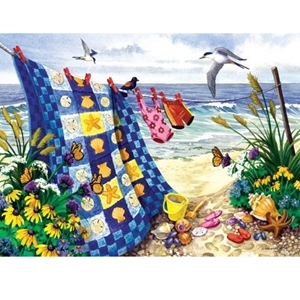 The whole family can spend time piecing Seaside Summer Jigsaw Puzzle. Stay at home and still enjoy the beach. Whether you are beach bound, wishing you were, or remembering past trips, I hope you are enjoying your summer. 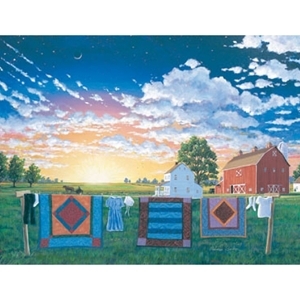 In the last post, all the talk about washing fabrics got me to thinking about “wash day” and clothes hanging on the line to dry. I always love the look of clothes on a line and, depending on what clothes, it can make a great picture. 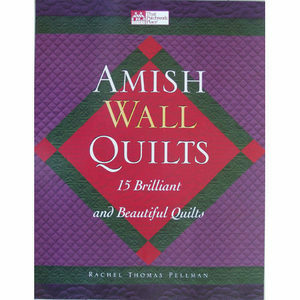 But the best is when the quilts are hanging. One of my neighbors still uses a clothesline and occasionally the quilts are out. I love it those days! 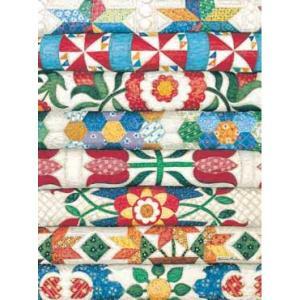 I found a few patterns that feature full clotheslines . . .
A Day At The Beach sounds pretty good right about now, doesn’t it? Someone has already been swimming and their swimsuits are hanging out to dry. 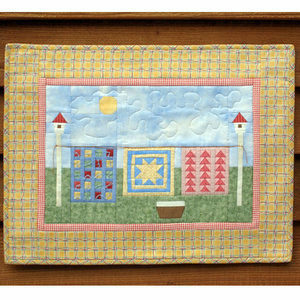 This paper foundation pieced pattern by MH Designs is packed with detail, including a couple three dimensional effects with the kite tail and the clothesline. 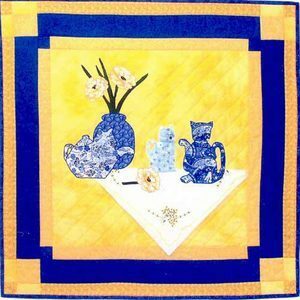 I’ve been working on the Periwinkle Lane blocks – I love them! – and I’m looking forward to Block 12. 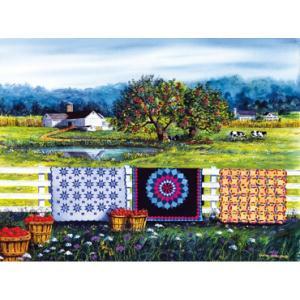 I also found a few jigsaw puzzles with quilts on clotheslines…..
I’m so glad I have a dryer and don’t need to hang clothes or quilts outside in the winter time, but this sure is a pretty picture of Amish Winter. This makes another pretty picture but with all the birds Meeting At The Clothesline it makes me a bit nervous….. 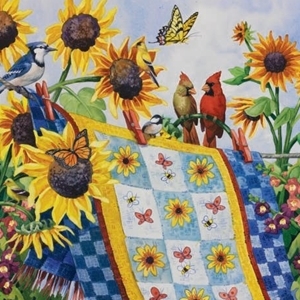 I hope those birds respect that quilt! Well, all these pictures and all this talk has got me in the mood. No, not the do the wash, to quilt!